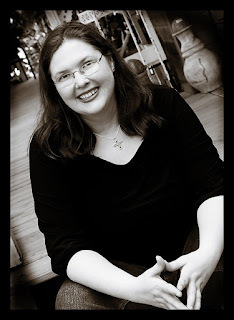 I'd like to introduce you to one of my dear friends, fellow writer, Rachel Phifer. Rachel hales from Houston Texas, and we've become friends while critiquing each other's work through the American Christian Fiction Writer's Association. I hope you enjoy Rachel's piece, and take a look at her recently set up blog www.RachelPhifer.com. This is Rachel's debut. Send a comment her way, and encourage her to follow God's leading in her writing. I was born with a thin skin. One of my earliest memories is sitting on the floor, rocking, trying to comfort myself because the noise of the television and people talking in the kitchen was overwhelming. My mother says I was eight before I stopped crying about getting dressed, “because the clothes touched me.” My skin was sensitive. My ears were sensitive. My very being was sensitive. At school, the sound of pencils scratching against paper made me shiver, and even a sharp look from a teacher would start an uncontrollable flow of tears. I tried to overcome it, just as I tried to overcome being shy and gangly, but growing a thick skin seemed as possible as making my brown eyes turn green or blue. I recently read about something called sensory integration disorder. It was me all over. Here’s the thing though. What I remember most about those early years of childhood is not tears, not trauma. I remember what the lush, green grass felt like between my toes. I remember an orange harvest moon hanging so low in the sky I couldn’t believe it was out of reach. I remember the pages of the hymnal leafing between my eight-year old fingers, and the delight I felt as the voices in chorus flowed over me. Is that a disorder? For many years, though I had never heard of the disorder, I did believe something was wrong with me. I called it depression. It started as a quiet melancholy in childhood. Then a growing sadness and separation from those around me as we moved from place to place, as my father was diagnosed with leukemia, grew ill and died. And finally at boarding school, my 9th school in ten years, it turned into full-blown depression. I felt every pound of my body weighing down on me. It took superhuman effort to get out of bed and move through my day, as if I were trying to carry a second person with me. I moved in slow motion, while everyone else went about their business in ordinary time. I couldn’t breathe in the thin mountain air. But when I think of that time, I think of other things too: the rushing sound of the streams that ran down the mountainside, the greenness of the trees, the way a cloak of comfort settled on me when I would kneel to pray in the dimly lit chapel. My mother sent me back to the states the next year to live with my grandparents. She knew something was wrong, and so she arranged for me to see a counselor. For a long time after, when I thought of those sessions with Barry I thought he had been careless. He knew I had come within a hair’s breath of trying to overdose on my asthma medicine. But he didn’t want to talk about suicide or depression, not about boarding school or my father’s death. “Tell me about your writing,” he said. For three months, every week we talked about writing, journaling, books, the holocaust, African refugee camps and then back to how I might form a career as a writer. When I returned to my home in Africa, I was a different person. I was a writer. I was strong, full of intuition and language and the senses, all the things needed to talk about what this thing is we call life. The tide of depression rolled in and out always. My feelings were heavy, almost tangible things, full of images and weight. All it took was a change: a friend leaving, the loss of a job, sometimes just a door opening to a painful memory, and the slow darkness would cover me. Or as I began to take the responsibility of a job and providing for myself, sometimes it turned into a blinding, white light of anxiety. I married and had two daughters, and desperately wanted never to fight depression again. I didn’t want to be a burden to my husband. I wanted to be a strong, optimistic role model for my children. And I was strong. Really I was. I haven’t had a debilitating depression in years. But sending my children to daycare, as I had to do, sent shockwaves of pain through me that other mothers didn’t seem to experience. Sitting in an office without windows made me grow agitated and desperate for a slice of sky, while my coworkers seemed content to work all day with only a sighting of the sun at lunchtime. There’s no doubt in my mind that almost every mother with children in daycare grieves about leaving them, and almost everyone working in a dark office wishes for a window. But somehow it seemed to set something off in me that ran deep – deeper than I could contain. So from time to time I would find myself in tears, locked in my bedroom hoping my family wouldn’t see. Finally, I accepted that yes, I do have low serotonin and a susceptibility to depression. But as much as I want to be a person of joy for my family, I made the decision not to take antidepressants. Years back, when my oldest daughter was just a toddler, I began reading the book of Jeremiah. In the very first chapter it says, “The word of the Lord came to me saying, ‘Before I formed you in the womb I knew you; before you were born I set you apart . . . .” When I read those words, I just knew. God made me the way I am. I don’t think I’m defective. If I thought it was simply a matter of low serotonin, I’d be at the doctor’s office asking for a prescription in a heartbeat. But the Lord’s gifts are double-edged: light and frothy on one side, but in our frail human condition, dark and weighty on the other. God gave Jeremiah the gift of prophecy. What an honor to be chosen by God. But Jeremiah’s life was not easy. It was a heart-rending challenge. Should he have rejected the Lord’s blessing? Then neither will I. The slowness, the deepness, the richness of my feelings comes with something that mimics depression. Yet, when I find just the right word, it feels beautiful and whole on my tongue. A song can carry me away on a river of feeling. Touching my baby’s silky skin the first time left an imprint that is still clear as day ten years later. A prayer, the right scripture, or a thought can reach through to the deepest part of my soul. But if I’m to accept that, I must also accept that a dark room will close in on me in a way it won’t on my neighbor, and that a painful experience will reach through to me as it won’t on someone else. Maybe, I’ll be a little more scarred. I can live with that. I don’t know why God made me the way He did. Maybe he knew what Barry knew: that He created to me to be a writer. To tell His stories, I need to feel them, touch them, taste them, hear them in a way many of my contented neighbors can’t. Maybe He created a population of poets, writers, musicians, artists, and just generally sensitive people to share the joy and sadness in His creation with Him a little bit more. Or suppose He wanted to share the Creator side of Himself, as He shares the Father side of Himself with parents and the Healer side of Himself with doctors and nurses. That’s my best guess, but I don’t know. This I do know: God has blessed me with more – more feeling, more senses, more language. And on those days when it feels like a curse and I want to beg Him for just a bit of normalcy, to please let me be like the woman next door, I will remember: the darkness only screens the light underneath, and God has blessed me.